Love pizza?? Slice of Columbus will be held on Wednesday, September 12, 2018, from 5-9 p.m. at Columbus Commons, organized by the Development Board of Nationwide Children’s Hospital. Enjoy all-you-can-eat pizza from the best pizza places in Columbus while enjoying musical entertainment and children’s activities. There will also be craft beer and wine, and Pepsi products available for purchase. Vote on the best pizza in Columbus! Last year’s people choice winners were: 1st Place – Sparano’s, 2nd Place – The Goat, 3rd Place – Adriatico’s. Do you agree, or disagree? I’d love to hear your favorite pizza places in Columbus! While I personally can only vote on gluten-free pizza (which may or may not be available at the festival), my personal picks for gluten-free pizzas in Columbus would be 1 – Pies and Pints, 2 – Harvest Pizzeria, 3 – The Hill’s Market. Tickets are $15 in advance or $18 at the door. You can also purchase an advanced family pass for $40 ($45 at the door), which includes 2 adults and up to 3 children, plus 5 Pepsi products. Child [6 yrs. – 12 yrs. ]: $8 Advance / $10 Event Day. Kids 5 and under are free. If you REALLY love pizza, you can purchase a VIP ticket for $75, which includes TONS of extras including VIP tent seating, premium pizza with no wait, complimentary Pepsi products, water, and selection of craft beer and wine, complimentary snacks and breadsticks, and much more. Like the Slice of Columbus Facebook page to keep up with event details and to see which pizza places will be competing. Slice of Columbus is organized by the Development Board of Nationwide Childrens’s Hospital and all proceeds will benefit Nationwide Children’s Hospital. Looking for more fun festivals? 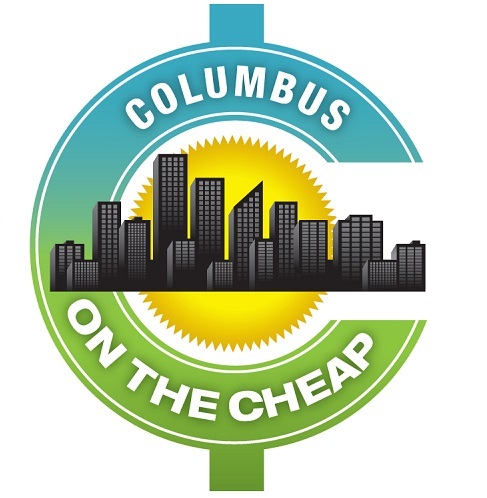 Check out this huge list of festivals around Columbus! The gluten-free options are just my personal picks. I don’t know whether these (or any gluten-free) will be available at the event this year or not. Love the fact that you included gluten free pizza winners! Can’t wait to attend now.